Corsair introduced two new DDR3 memory kits for Apple's MacBook Pro, iMac and Mac mini systems. Corsair®, a worldwide designer and supplier of high-performance components to the PC gaming hardware market, today announced of 8GB and 16GB DDR3 memory upgrade kits for Apple® Mac desktop and laptop systems. Mac systems with two memory slots have traditionally been limited to only 8GB of memory. 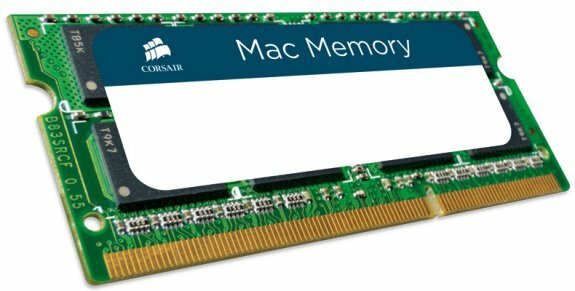 By increasing the individual module capacity to 8GB, Corsair's latest memory upgrade kits allow Mac owners to upgrade to 10GB, 12GB, or even 16GB of memory.